The EZ Fold-A-Way Easel sets up in seconds and instantly folds for easy transport. 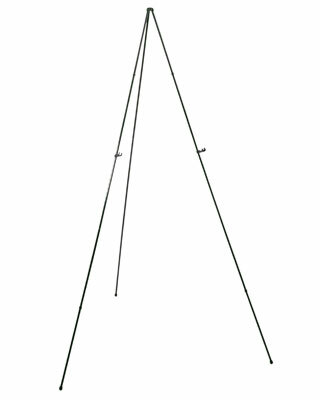 Hold the easel at the top and the legs fall and lock into place. Chart supports fold up for compact transport. Made with a solid steel frame for durability. Great for travel!